An American brand with European made footwear known for quality and craftsmanship. Born in 2003 when the owners wondered if they could make a light sandal with a strong toe protector. 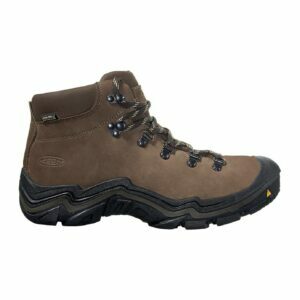 They have since extended the best protection to their shoes and boots. Keen’s quality and attention to detail can be seen in their well sourced materials, hard wearing rubber soles and strong stitching. 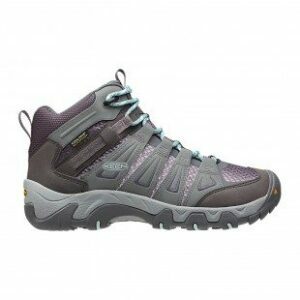 While the shoes themselves are slim, Keen soles are broad fitting and give good stability and arch support. 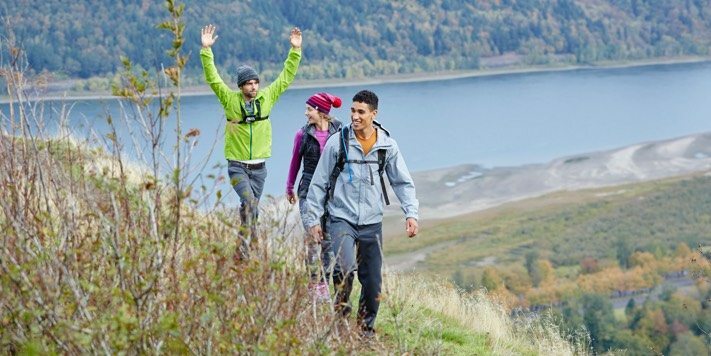 I talked to our in store product experts to give you a quick low down on the best Keen footwear available at Great Outdoors online and in store. The Keen Oakridge Mid are a great mid price point option for tackling light trails like Camino or the Ring of Kerry. This range is multi-fabric with leather lining with patented Keen Dry technology allowing you to stay dry while allowing the foot to breathe. 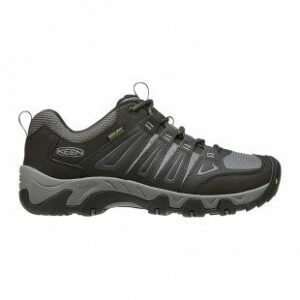 The Oakridge Shoe would be a great choice for a city shoe. For more rugged terrain, check out the high performing American made Keen Madeira Peak Mid Waterproof or the Keen Feldberg Waterproof which offers great flexibility and support. Not just for dry land, Keen can also kit you out for Water sports. We suggest you keep your feet warm with the Keen neoprene booties. These give grip and protection when you are lugging your kayak from the van to the shore. They are on Sale for €69.99- so you better catch them fast! Keen suggests ordering a 1/2 size larger than your usual size. If you are unsure about sizing, call into our Chatham Street store where we offer a free no obligation measuring service. Don’t forget our Great Outdoors 28 day promise which allows you to try the boots at home. 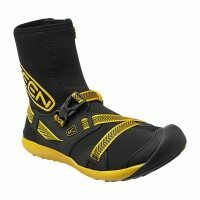 How should I care for my Keen footwear? Granger leather conditioner will keep the likes of the Feldberg and Madeira protected and ensure leather does not crack at flex points. For staying warm on the hills, we recommend Smartwool socks because of their high merino wool content which gives them stink busting antibacterial properties and are light when wet. For added comfort and to ensure the perfect fit, some walkers might opt for an insole. We suggest Superfeet Green which is a slightly thicker sole ideal for boots and offer great shock absorption. Meanwhile, the Superfeet Blue insole is thinner but does not compromise on performance and would suit a mid boot or shoe perfectly. It is worth knowing that Keen sandals and river boots are machine washable. Is there anything we missed out? Ask our product experts a question down below!